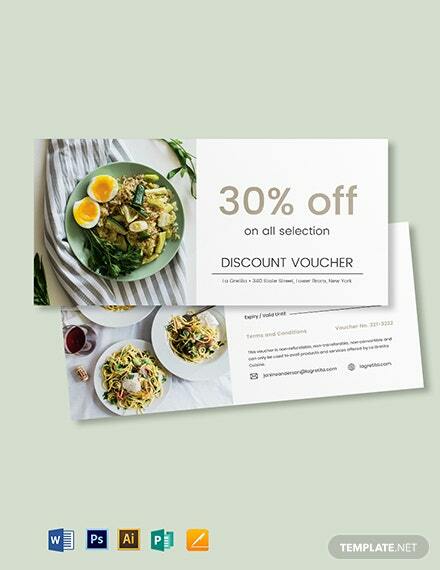 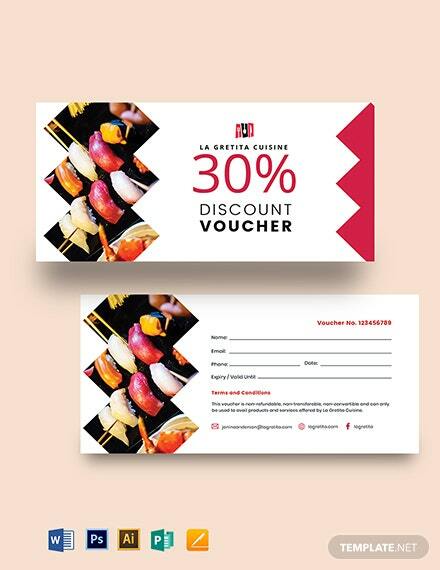 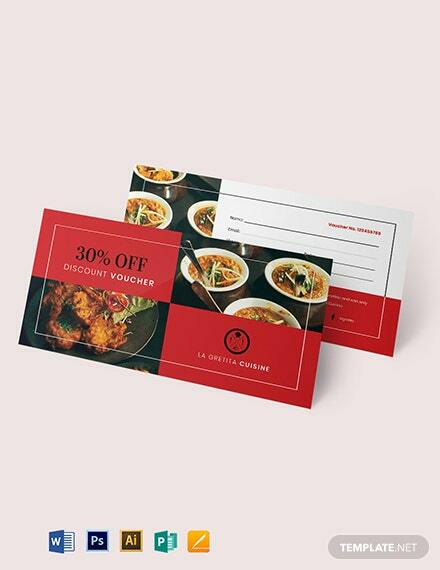 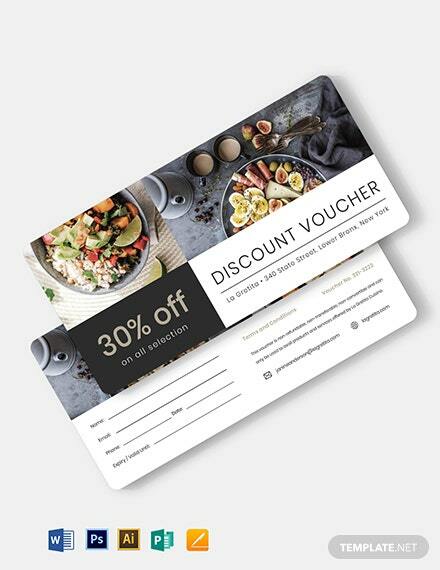 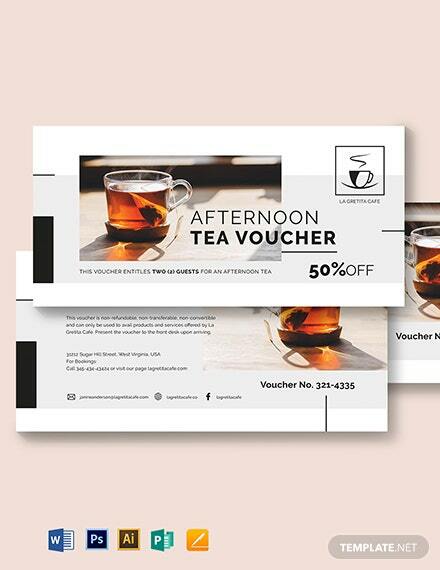 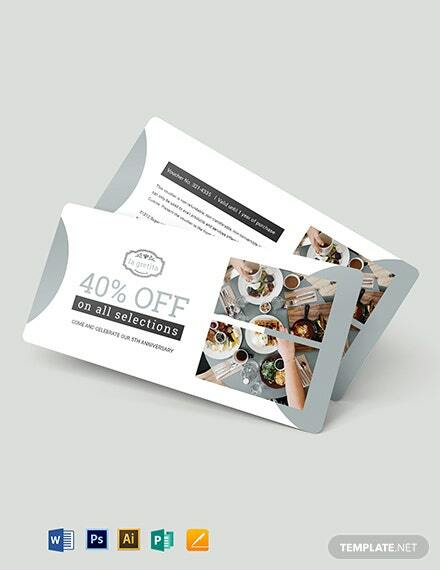 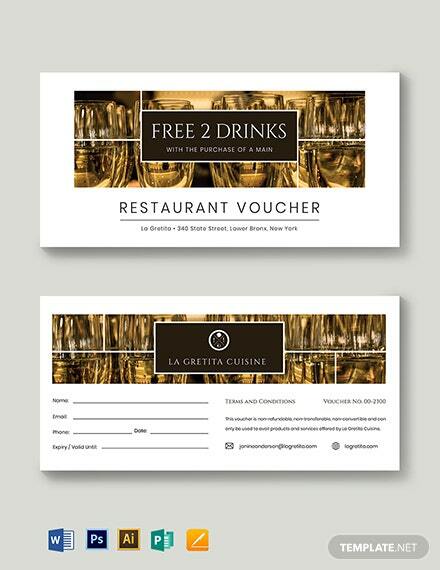 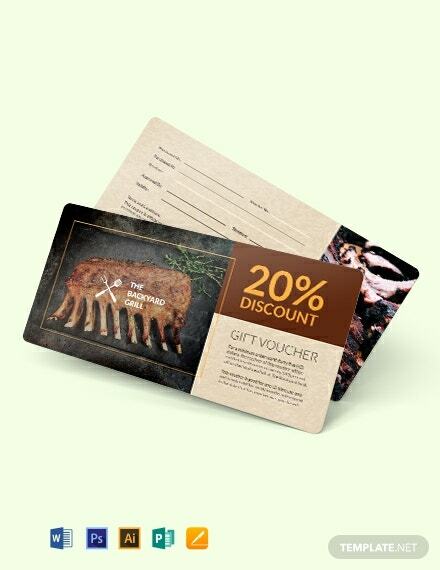 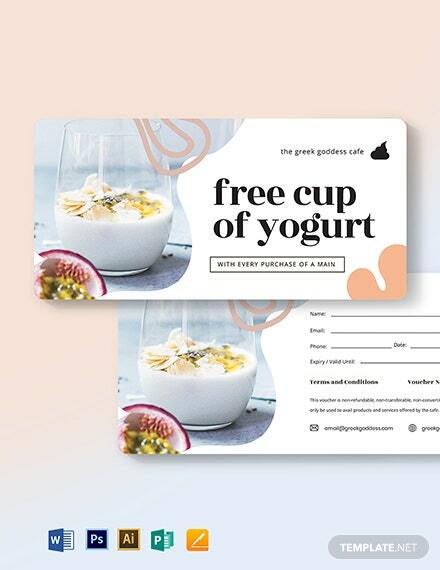 This restaurant voucher template makes good use of excellent fonts and colors. 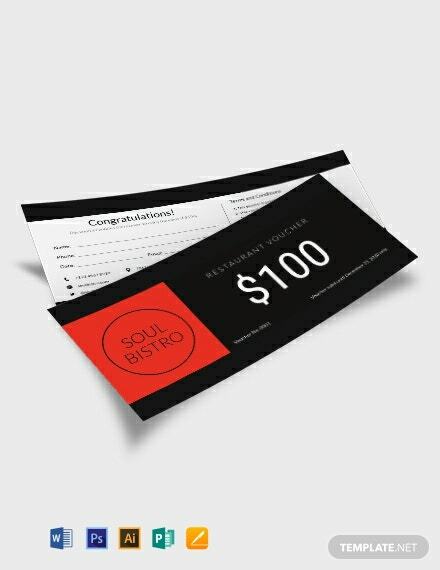 It is optional for the business owner to put a photo. 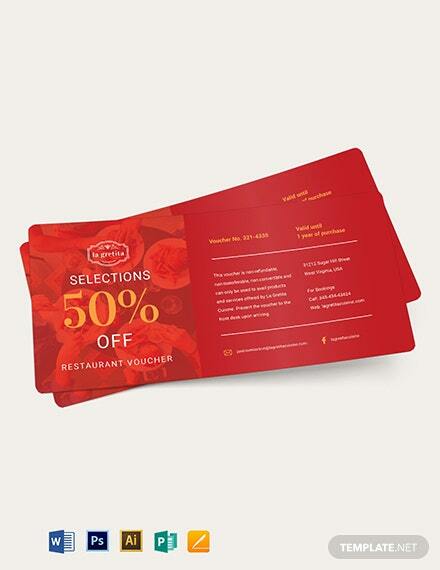 The combination of red and black makes the voucher more +More classy and attractive.